Sometimes I have to pause for a moment and think, “why the heck am I rushing right now?” I designed my life so that I work from home and set my own schedule, but still I find myself constantly feeling as if I’m under some kind of pressure to do everything and do it fast. Oftentimes I have three or four things going on at any one time, which is why I often feel overwhelmed. What I’ve found us that the things to do don’t stop until I choose to stop doing them. Sometimes I have to force myself to just RELAX. When you’re in first grade, you’re taught that if you don’t draw inside the lines there may be a problem. By the time you’re in sixth grade you’re taught that if you don’t have a group of friends there’s a problem. By the time you’re in 10th grade you’re told that if you don’t fill out 50 college applications your future is in jeopardy. When you’re a high school senior you’re pressured to find a prom date or else you’ll miss a once in a lifetime chance. In college you’re pressured to be the best at everything and compete with your peers fiercely. At your first job you’re expected to work your way up the corporate ladder. And women, let’s not even talk about the pressure of being 29 years old and not married or not even having a boyfriend (“girl, your biological clock is ticking!”). It’s clear that an inability to truly relax is built into many of us over the course of many years. When you’ve been taught so long to stress, worry and be concerned about every little thing that’s going on in your world, it seems almost impossible to just enjoy the present. The real reason why so many people find it so difficult to relax is that they haven’t mastered how to relax their minds. No matter how comfortable your body may be in a seat, if your mind is active and stressed you can’t get the rest that you truly need. Sit down and relax every muscle in your body, from your toes to your forehead. Relax them completely. A moment ago you probably didn’t even realize that there were parts of your body that were on “alert” either flexing or tensing. But when something told your mind to relax, you actually did. Try this at night when you’re trying to fall asleep quickly and think of a place where you’d like to be. You may be surprised by how quickly you drift off into a nice dream. When your schedule is full of things to do, including work projects, chores and daily routines, it’s essential that you take at least an hour each day to truly relax. Set aside a clear cut block of time in your day to do exactly what makes you happy, whether it’s a power nap, watching your favorite program or taking a walk in the mall. Be unapologetic about this time that’s just for you. As I say in my new book YOU MATTER, you do not have to answer every time that you’re called. So turn off your phone ringer. Put on some soothing music. Take this time to reflect and let ideas in. Relaxation has healing properties and can give you extra energy to finish your day strong. Here comes a cliche that I think we all take for granted from time to time: “stop and smell the roses.” You don’t have to run and gun every moment of your day. Take time for yourself. Take care of yourself. You matter. Lynn is the author of several motivational books, including You Matter: 11 Ways that You Matter Even When the Worlds Seems to Tell You Otherwise. Do You Want to Be a Weed or a Plant? When I’m out tending to my garden all types of ideas and revelations come to me. One issue that I find to be most time consuming is the act of pulling weeds. I have no idea where these weeds come from. They just sort of appear out of nowhere. In some cases they pop up overnight. Weeds sometimes grow when there’s no sun or water. Some varieties spread their seeds liberally as a way of trying to "take over." They are almost like parasites, taking resources (sun, fertilizer, water, nutrients in the soil) but never really giving much back to the world. On the other hand you have plants. Plants get their name because they were specifically seeded by a farmer or gardener. They are needed and wanted. They take resources but they also give something back to the world, in the form of healthy food, beautiful smells or colorful flowers. So the thought that came to my mind on this particular day was how some people are like weeds and others are beautiful plants. What type of people do you have around you? And which one would you want to be? Weeds spread and propagate on their own. No one (except agricultural experts) really knows where they come from. They blow with the wind and land where they may. When they do settle into a spot, they dig in and get comfortable, not caring who the land belongs to or if they’re welcome. They just grow and grow, take and take, without much of a purpose or benefit to the landscape. Some theorize that they help protect soul by covering the ground, but they don’t seem to care if that ground is already occupied with plants or grass. They can impede the growth of plants. I liken them to an unwelcome distant relative coming into someone’s living room and putting their muddy boots up on the brand new couch. Plants, like vegetables or flowers, have a clear purpose for being. They flourish and grow so that they can be a blessing to others. They stand tall and confidently, basking in the sunlight. They feed people with healthy nutrition (and bees with nectar). Yes, plants are used up, and they will eventually wither away, but they leave behind valuable seeds that regrow and flourish year after year. The fruit and seeds that they produce are valued and cherished indefinitely into the future. They help people become and feel healthy, and have even been known to heal diseases. People will pay a pretty penny for a good piece of fruit or a beautiful flower. So do you get the analogy? Unlike vegetation, we humans are blessed with the choice to be more like a weed or like a plant. We can be a blessing to the world instead of being a burden. We have the choice to take the seed that God planted in each of us and let it flourish, so that it can be a blessing to the world. Going Against the Grain or Going Along to Get Along? Have you ever gone along with something, whether it was an idea, an action or a joke just because most of your friends or family members agree with it? Yet something deep down inside tells you that something’s not quite right. That is your intuition talking to you, but unfortunately sometimes we ignore that voice. We choose the path of least resistance and just go along to get along. Going against the grain (a euphemism for going one way when everyone else is going the other way) seems too difficult a task at first. You may have to deal with ridicule or judgment for your choices. Wouldn’t it just be easier to just agree with everyone and go with the crowd? But there is SO much freedom in going against the grain when it’s warranted. For one, your conscience is FREE, because you know deep down that you’re doing the right thing. And you’re also freeing yourself from the mental slavery that comes with “group think.” The more people who go along with a certain belief, thought, obsession or action, the tougher it is to resist joining the ranks. When I first decided that I would work for myself and own my own business, many of the people around me laughed and judged me. I frequently heard “why don’t you just go get a *real* job?” Today many of those same people struggle in careers they don’t really like. I decided to go against the grain, and I love what I do. It’s not always easy work being an entrepreneur, but I earn, have freedom AND I’m able to express my creativity every day. People are always trying to impose their views and opinions on others — you have the free will and right to not agree if you wish. Exercise that free will at every and any opportunity! Don’t ever be afraid to go against the grain when necessary. Your skin might get “prickled” a little along the way, but you may look up soon enough to clearly see that you chose the right path for YOU. Now Available at Amazon & Audible.com! Is It Really a Good Idea to Have a Plan A B and C? Throughout much of my adult life I lived by the belief that it’s always good to have a plan A B or C in case your initial idea doesn’t pan out. In my mind, the plans after “A” would have been settling into a permanent job; plan B is a good job I like, “C” is not as good of a job and so forth down the alphabet. But that conflicts with the teachings of my mentors who say that if you have a major goal, nothing should distract you from it. Many say that having a “backup plan” is a bit like predicting the failure of your first goal. Now I feel the need to adjust the line of thinking that I’ve always clung to about having a backup plan. Now I think that it’s important to have a plan A B C D through Z that specifically moves you toward your ultimate goal or dream of choice. I agree with my mentors, like Les Brown, who say that if you have a dream you want to achieve you hang onto it like a mad dog with a bone. At the same time it’s still a good idea to have a plan A B and C for pursuing that dream. That’s the key. There could be many roads that lead you to your ultimate goal — some are smooth, “safe” and curved while others are more “tricky” or risky but they might get you there faster. Each of those roads to your goal are labeled plans ABC. The more backup plans you have the better in this case — if you believe in your dream, you will do what is necessary to achieve it. Even if you do decide to put your plans on pause for a moment, that doesn’t mean that your “trip” is over. For instance, if you decide to pause a business venture and get a job, let that be a time to regroup, save some money and get refocused on your business plan. In this case, getting a job isn’t plan B for your LIFE… it’s just PART of plan B for achieving your ultimate goal. Avoid negative people who try to discourage you. Keep learning and growing. And stay focused on your dreams and goals — they help give your life meaning and purpose. Say one day you decide to plant a sunflower. After 2 weeks, there’s a tiny sprout. After 3 weeks there’s even more of a sprout but not quite a sunflower yet. Do you give up on your sunflower, yell at the sun, stomp on the dirt and pour antifreeze over the sprout because it hasn’t become a full grown flower yet? Or are you encouraged by the small bit of progress, and continue to water and feed your soon-to-be flower? Choosing the first option sounds RIDICULOUS doesn’t it? Yet people do that all the time to their goals, dreams and pursuits of success. You make a bit of progress, but it’s not enough, so you abandon the whole thing after a short while. You don’t see the “fruit” from your efforts quickly enough, so you pour antifreeze all over your plans and scream at the sky. We tend to be very impatient about progress. We want results now, or even better YESTERDAY. Well a fact of life is that success takes time — it rarely happens overnight! Pursuing a goal is like planting a seed in the ground. You water it, feed it and let the sun bless it. It grows slowly and perfectly until one day there’s a beautiful flower in the dirt. And each seed has its own timeline. Some will be ready for harvest in just a few weeks, while others (like bushes and trees) take years to fully mature. How many times have you given up on a new workout or nutrition plan, just because you didn’t see flatter abs and less pounds on the scale in 2 or 3 weeks? (Sometimes days!) It takes months and years for a shift in your diet and exercise plan to show significant results, and consistency is key. Have you ever tried to learn a new skill, like dancing, playing an instrument, or painting and after a short time gave up because you didn’t think you were good enough? Do me a favor right now and look up the early/first paintings of iconic artists like Salvadore Dali, Pablo Picasso and Henri Matisse. Many famous artists didn’t start off painting “perfect” masterpieces. There was a progression in their art that came with time, practice and inspiration. The same is true for many of your favorite musicians and entertainers. Then there are the trials of starting your own business. You opened the business and no one flooded through your doors the first week. That doesn’t mean you and your business idea is a failure! It means that more time is needed, more new ideas or maybe even a slight shift in your business plan. Steve Jobs didn’t turn Apple into a multibillion dollar corporation overnight — it took many years for him to finally get his footing. And sometimes, some seeds just don’t ever turn into flowers for any number of reasons. Maybe the seed didn’t get enough water or the weather wasn’t warm enough. That doesn’t mean there’s something wrong with you or that you’re a failure — it simply means that you have to plant more seeds until you start to see some sprouts coming in. The soil’s still good! So keep planting. Don’t stomp on your sprouts. Keep watering, watching over them and loving them instead — they need time and plenty of love to flourish. 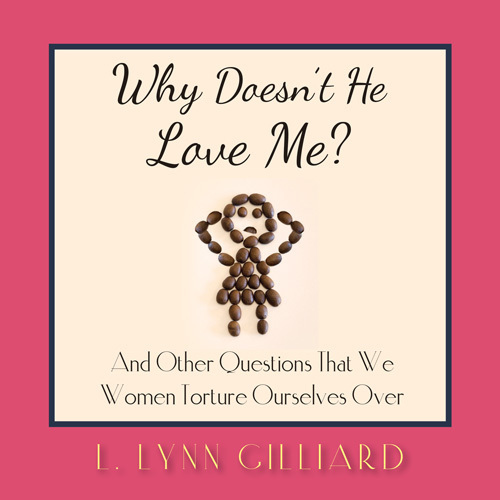 Lynn Gilliard is a writer and transformational blogger. She is the author of a self-help guide entitled Survive, Live or Thrive? and an upcoming book full of life advice entitled Why Doesn’t He Love Me?